This stand does away with the fumbling and turning of the traditional gnarled mic stand adjuster. One touch on the easy to reach lever disengages the mechanism that grips the vertical shaft. 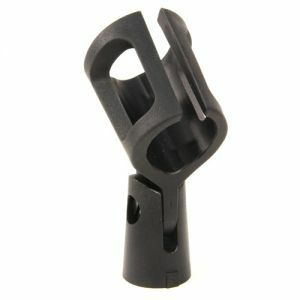 Touch Release Mic Stand - Black does away with the fumbling and turning of the traditional gnarled mic stand adjuster. Touch Release Mic Stand - Black one touch on the easy to reach lever disengages the mechanism that grips the vertical shaft. Adjustable height is 33.5" to 62"